Portugal, on the western edge of the Iberian peninsula has it's main tourist area on the south coast, known as the Algarve, well known for it's attractive beaches and many golf courses. 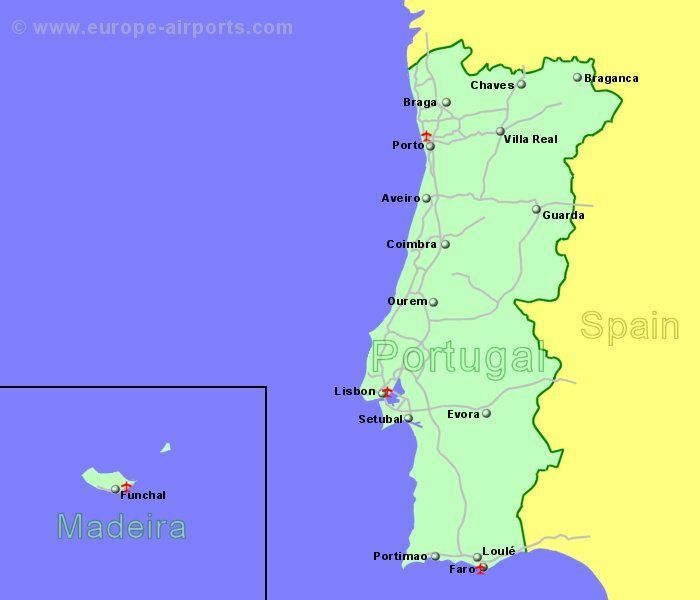 We have included the island of Madeira here, located off the north west coast of Africa. Portugal is a member of the European Union and the currency is the Euro. Portugal is also a Schengen country. Located 4 Km North of the city centre of Lisbon, the capital. Located 16 Km north east of Funchal, on the Portuguese island of Madeira, off the north west coast of Africa. 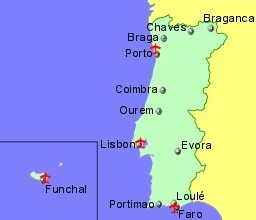 Located 10Km North of Porto, on the north west coast of Portugal.